The following suburbs are located in Thornton Township: Blue Island (southern edge), Burnham, Calumet City, Dixmoor, Dolton, East Hazel Crest, Glenwood (northern ¼), Harvey, Hazel Crest, Homewood (northeast half), Lansing (northern half), Markham (eastern ¼), Phoenix, Posen, Riverdale, South Holland, and Thornton. In order to ensure you never pay more than your fair share in property taxes we recommend that you review your home’s assessment every year and file an appeal whenever there is a strong factual argument to be made, no matter which year your township is at in the triennial reassessment cycle. Others also recommend this approach. 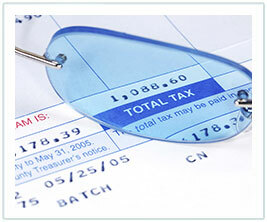 We offer a free, no-obligation, estimate of potential property tax savings. Reach out to us before the deadline of September 11th and we would be happy to provide you with our professional opinion about your property’s assessment in comparison to similar homes in your area and whether or not we recommend an appeal in 2018.